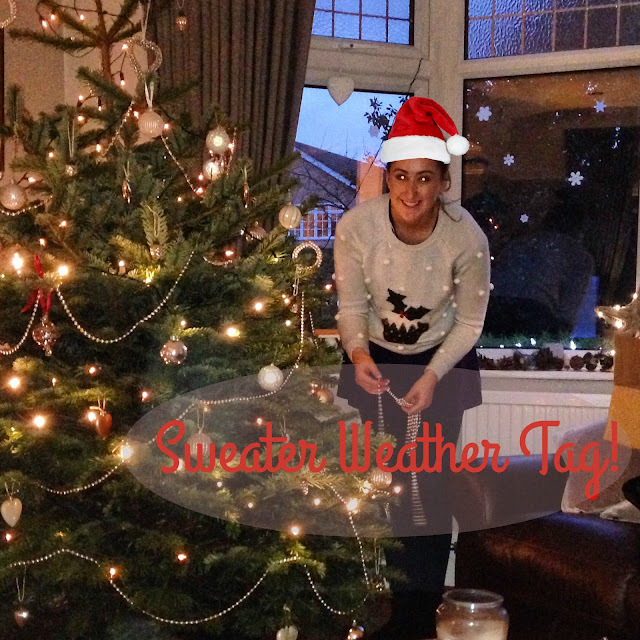 I thought today I'd do the sweater weather tag as I love reading them and I always learn a lot about other bloggers! I’m completely addicted to buying Yankee candles and my all time favourites for Christmas have to be either Cranberry Ice or Christmas Cookie. If we're talking about my favourite perfume scent - definitely Tom Ford Black Orchid. I don't like coffee at all, ew it's vile. I LOVE a good cup of tea but during the Christmas festivities it's got to be a hot chocolate! Just spending time with my family and friends over the festive period! I would probably say winged eye liner because I don't really suit a dark lip! Tom Ford-Black Orchid for sure! Cold and rainy! Lots of nice autumnal colours though! Probably my grandads old cardigan as it smell like him still! Probably leggings during winter time as they're so much comfier. I'm not actually a fan tbh! All I want for Christmas by good old Mariah! There we have it!! If anyone does this tag too make sure to tweet me or comment below. I’m looking forward to reading your answers!